Innovative Programming: Harvard Hillel shapes students’ identities and the Jewish future; we must inspire and enable our community to grow, create, and thrive. Harvard Hillel has wonderful opportunities for you as a student to express your Judaism in whatever way is meaningful to you. 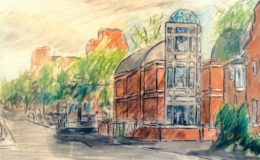 Harvard Hillel, by nurturing a diverse Jewish community, serves as an embassy of sorts on Harvard's campus and creates an environment that encourages dialogue, debate, and personal growth. Incentivize and support new activities among undergraduates through an Innovation Fund. Increase interfaith programming with other communities and student groups at Harvard. Expand programming and opportunities for Jewish graduate and professional students. 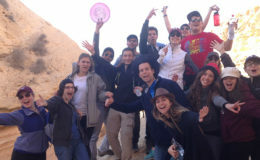 Harvard Hillel constantly enables students in creating new activities — singing ensembles, a Jewish outing club, social action and volunteer programs, interfaith dialogues, a Krav Maga (Israeli martial arts) club, a ‘Challah for Hunger’ charity baking group, and much more — with programs always evolving in college student life. 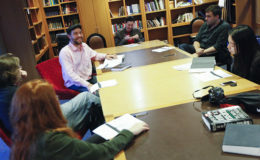 Harvard Hillel supports Jewish Graduate Student Associations in HMS, HBS, HLS, HKS, HSPH, GSD, HDS, HGSE, HSDM, and GSAS and works with graduate students throughout Harvard to create Jewish programs and to foster Jewish community, connecting Jewish students throughout Harvard’s schools. Harvard Hillel is important because it allows me to express my Jewish identity and learn with others who come from varying Jewish backgrounds.